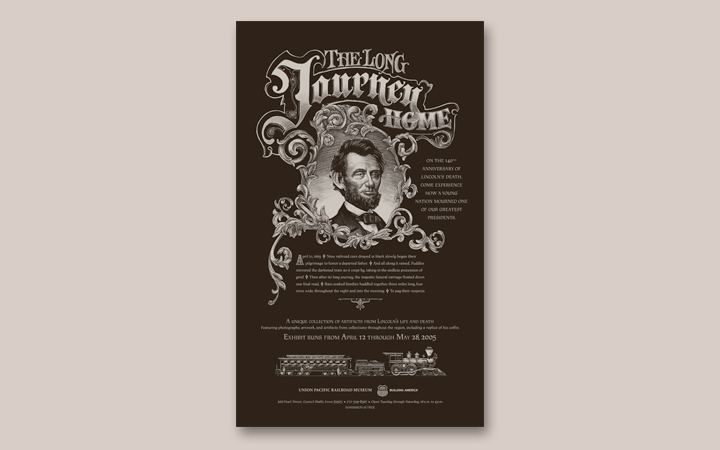 A poster to promote a museum exhibit and honor Lincoln. 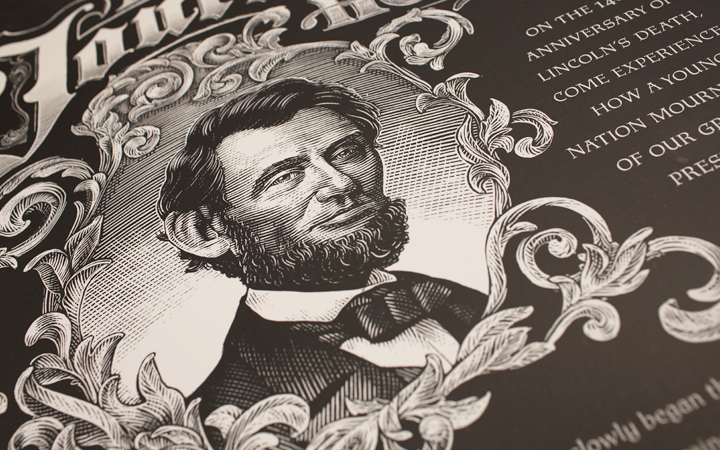 Celebrating the 140th anniversary of Abraham Lincoln’s death. This exhibit was made up of a collection of artifacts from Lincoln’s life and death. In addition, it demonstrated the role played by the railroads as a young nation honored and mourned a great president. 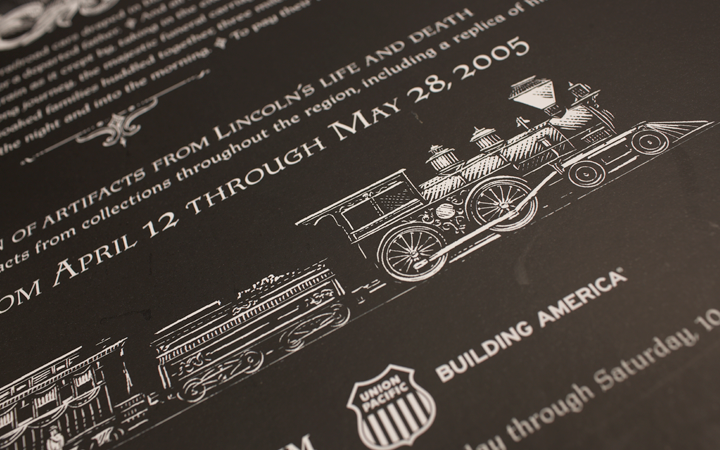 The museum wanted to promote this new exhibit in an unexpected way and showcase the connection between Union Pacific and President Lincoln as Lincoln was instrumental in creating the Union Pacific Railroad. This unique exhibit experience included artifacts and lithographs from Lincoln’s life and death. We created a poster invitation inspired by that moment in time. It encouraged museum guests to see for themselves what it would have been like to be present in 1865 as nine railroad cars draped in black slowly made their way through the country side, while mourners stood in the rain to pay their respects.